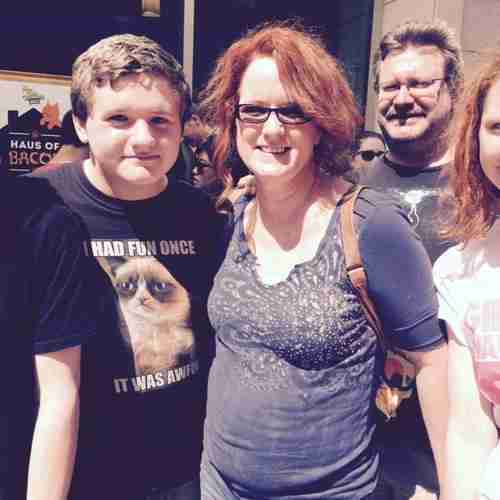 For the past three years the Bittner family of Austin, Texas has made a trip into downtown Austin's SXSW festival in March. 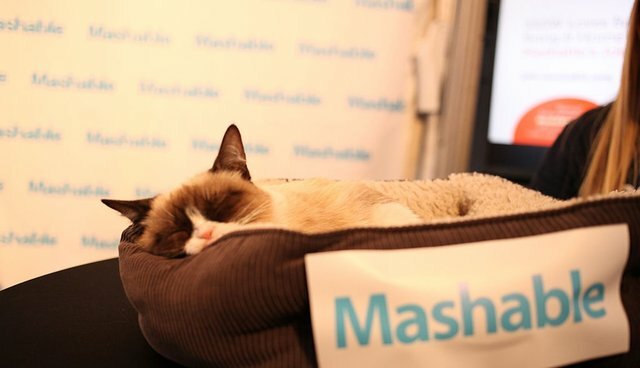 They don't come for the panels, they come for the cat - Grumpy Cat. 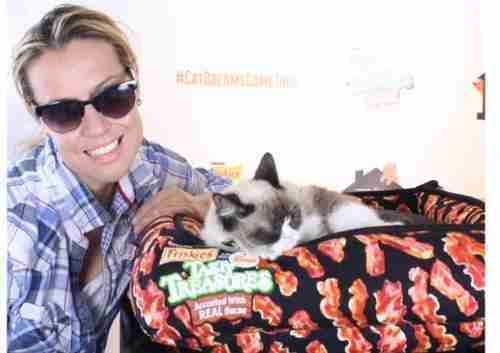 "We're just die-hard fans," family patriarch Brian Bittner told Yahoo Travel, while standing in a line that snaked down the street and around the block to greet the famous feline at the pop-up Friskies Haus of Bacon on Saturday morning. 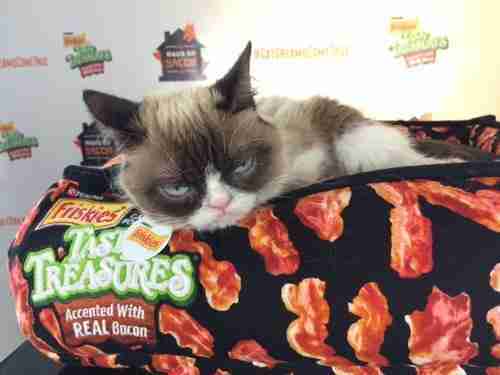 Grumpy Cat, arguably one of the most famous cats in the world, was at SXSW for a brand activation with Friskies Tasty Treasures to raise consumer awareness of the brand's bacon-flavored cat food products and to donate 50,000 meals to shelter cats. Brian and the rest of the Bittners were frenetically excited about the day's visit. "We watch her Christmas special. We are die-hard Grumpy fans. 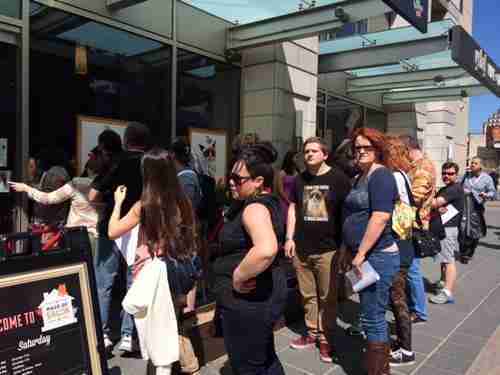 We just love her," Nathan Bittner said, as the doors were about to open, his smile wide above a T-shirt bearing Grumpy Cat's likeness with the words, "I had fun once. It was awful." 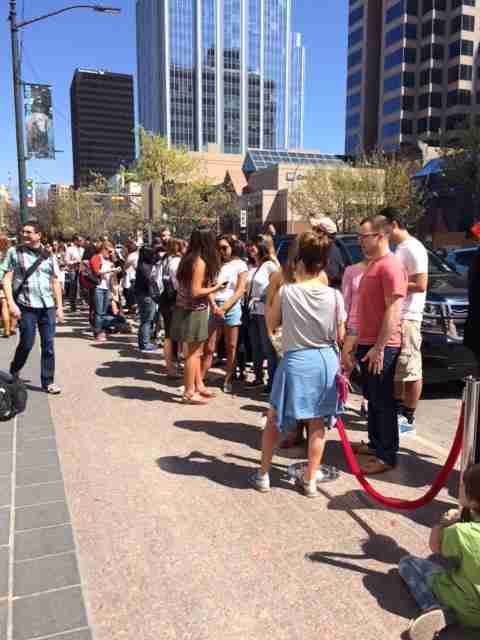 Thousands of other fans had waited for hours to see the Grumpy Cat and a brethren of other Internet-famous cats like Nala Cat, SamHasEyebrows, Oskar the Blind Cat, and his brother Klaus. Grumpy, on the other hand, had absolutely no interest in the Bittners - or anyone else for that matter. "She could care less," her owner Tabitha Bendesen said. "Her work ethic really is to just sleep."